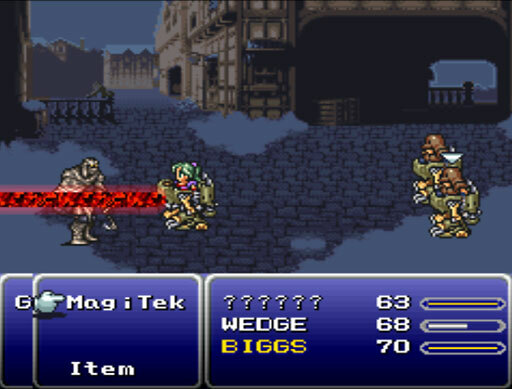 Going up against three people in Magitek Armor with a guard dog is not a good idea. To add insult to injury, the Narshe guards seem to be wearing padded cotton armor. That, or mummy wrappings.